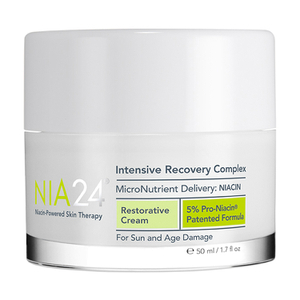 Continuous, deep delivery of Pro-Niacin™ strengthens the skin barrier. 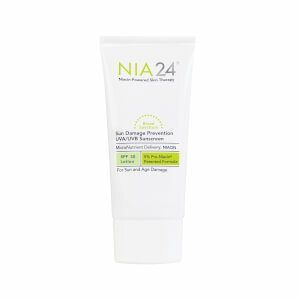 Pro-Niacin™ is clinically shown to visibly improve skin tone, texture and hyperpigmentation. Antioxidants Green Tea and Rosemary restore and protect skin. Ceramides reinforce the skin barrier to maximize themoisture-holding capacity for smoother, firmer skin. Dermaxyl™ Peptide Complex visibly eases deeper wrinklesand expression lines. Use in the morning and at night. Apply a small amount on face and neck. Avoid eye area. I love this Moisterizer that contains Niacin. I have been using it for years and keep my pigmentation and dry skin looking younger. It is great! unfortunately it caused white heads all over my face and mainly in chin area. I have played with quantities applied but results were the same. it is a light weight easy to apply lotion cream texture, I am using it up on my neck and hands. I wish someone would have told me about this product earlier. 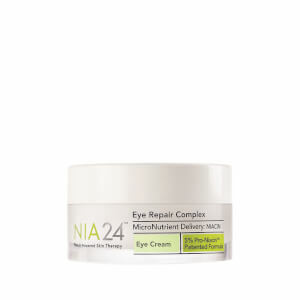 My skin care spa and plastic surgeon both carry this product and approve. It's light, it feels amazing and given time your skin looks amazing. Can't go wrong. This brand literally saved my face. I would love to have the before and after pictures to prove it! It is the best and cheapest way to go instead of a very expensive treatment with a professional! Absolutely magical! doesn't live up to the hype. After going through 2 tubes, I didn't see any visible results. The formula is elegant but that is the only redeeming quality this has going for it. I got better results using the depigmentation spot remover. I'm on my fifth tube of this lovely elixir and will continue to buy. This has a very light fragrance (that I happen to enjoy) that disappears moments after application. It goes on smoothly and absorbs quickly, leaving an invisible moisture barrier. Since I started using Skin Strengthening Complex a couple of years ago, my skin is VERY noticeably smoother, brown spots from sun damage have faded to nothing, and my face is just glowing. I can confidently go without makeup. I use this twice daily. Honestly, I wouldn't be without it. Do try it and give it about month...you'll see results and I bet anything that you'll make this a staple in your skin care regimen, too! Love this product its actually my favorite moisturizer, it definitely brightens your complexion and overtime clears up imperfections. Light weight and doesnt feel greasy or leave a shine on your skin. 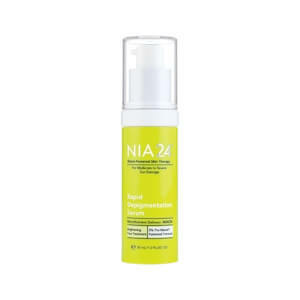 Have been using the Nia products for about 2 years and have been extremely happy with them. I love the light fragrance, and the smoothness it gives my skin. It improves the application of my foundation.